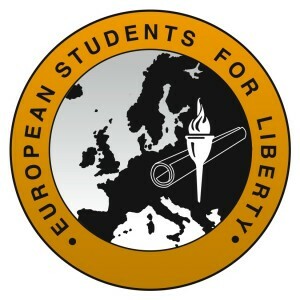 Professor Hannes H. Gissurarson, RNH Academic Director, gives a lecture on the theories of French economist Thomas Piketty at an international conference of European Students for Liberty in Bergen 18 October 2014. He will compare the theories of Piketty and American philosopher John Rawls, the main difference being that Rawls was concerned with the poor, but Piketty with the rich. He will criticize Piketty’s use of data which involves a systemic underestimate of the income of the bottom income group and also a systemic overestimate of the income of the top income group. However, admittedly it is possible that the gap between rich and poor in the West has widened in the last few decades. One reason for this, Professor Gissurarson submits, could be globalisation which has two discernible ffects. First, unskilled labour in the West meets competition from unskilled labour in China and India and other countries putting pressure on wages. Secondly, individuals in the West with special abilities, difficult or impossible to reproduce, for example film stars, entertainers, athletes, innovators and entrepreneurs, now can reach a much bigger market than before, thus vastly increasing their income. Professor Gissurarson will also pose the question whether anything is really wrong with an unequal income distribution, if it is distribution by choice. Other lecturers at the conference include Dr. Yaron Brook from the Ayn Rand Institute in California and Professor Emeritus Rognvaldur Hannesson, from the Norwegian Business School in Bergen, NHH. Dr. Brook will discuss the moral message in Rand’s works, while Professor Hannesson will analyse the possible privatisation of marine resources. Professor Hannesson’s most recent book is Ecofundamentalism: A Critique of Extreme Environmentalism. The lecture of Professor Gissurarson forms a part of the joint project by RNH and AECR, the Alliance of European Conservatives and Reformists, on “Europe, Iceland and the Future of Capitalism”.